It’s cool to be comfortable – in the right proportions, of course. And, to do it as if you’re chilling like Bill Clinton is back office? 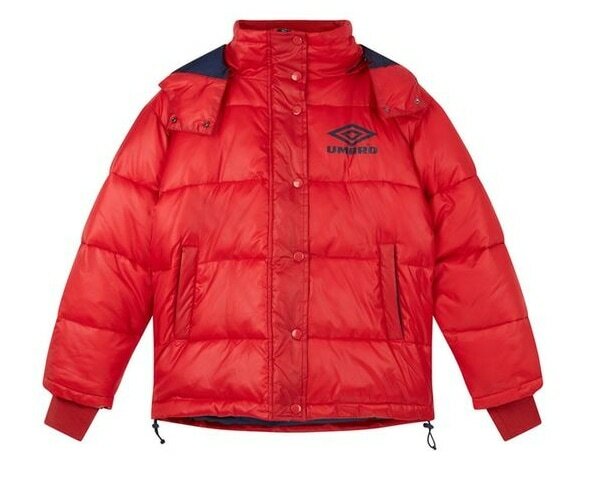 You’ve mastered one of the currently pervasive trends – ‘90s mens sportswear. Although modern appreciation stretches back nearly two years, sportswear finally broke through fashion and workplace taboos. You can easily walk into most offices in a pair of joggers, pull over a sweatshirt when the AC gets too intense, and sneakers are the norm – unless, of course, you work in law or finance. But, greater acceptance of all things casual is just one part of the picture. Sportswear is a multifaceted field, one encompassing tech pieces, true activewear for running, training, and other physical pursuits, and retro trends. Out of these, you’ll spot tech features in plenty of places – a poly/cotton tee with moisture-wicking properties, flashy down jackets that handle the chill and dampness of winter with ease, and sneaker collabs that surprisingly perform once you lace them up. However, “retro” sportswear – and, in today’s context, that’s strictly an appreciation for ‘80s- and ‘90s-rooted trends – exists as its own entity. 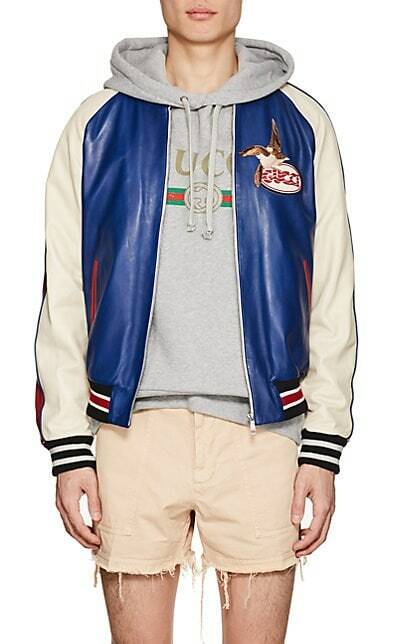 Yes, pieces like a Champion sweatshirt or dad sneakers once had a functional purpose – and still do, although they’ve been replaced with lighter, streamlined, and techier options – but now, they’re worn in varying degrees for the nostalgia factor – whether that’s a yearning for yesteryear’s style or the fact that, as a youth, what was once comfortable could be sharp, too. 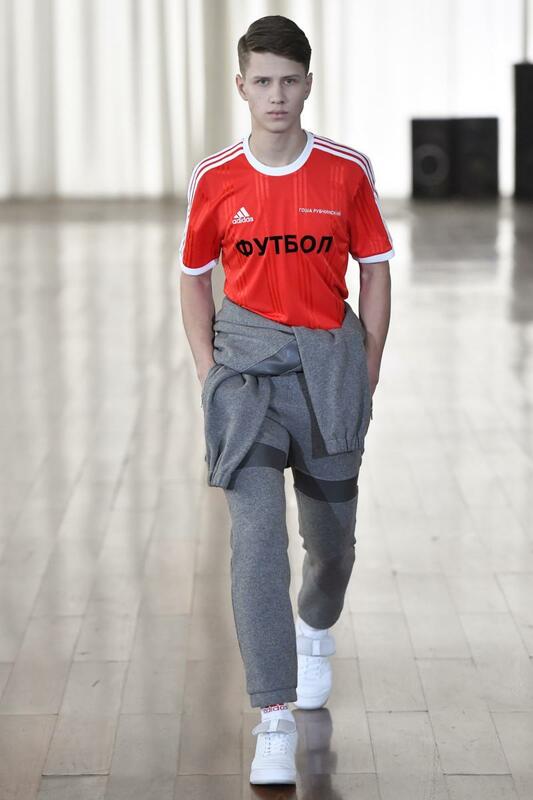 You can pin this practically on Gosha Rubchinskiy, the Russian wunderkind who brought the fashions of his youth – track jackets, sweatshirts, and high-waist, oversized pants all based on the hard-to-find styles of Adidas and other ‘90s sportswear brands – right up to the catwalk. Dubbed “post-Soviet fashion” for its inspiration, Rubchinskiy’s quick rise cast light on Eastern Europe’s reworking of something distinctively western, and – and perhaps unintentionally – revived interest in these mundane brands that, after the Soviet Union’s dissolve, became extremely rare in that part of the world. 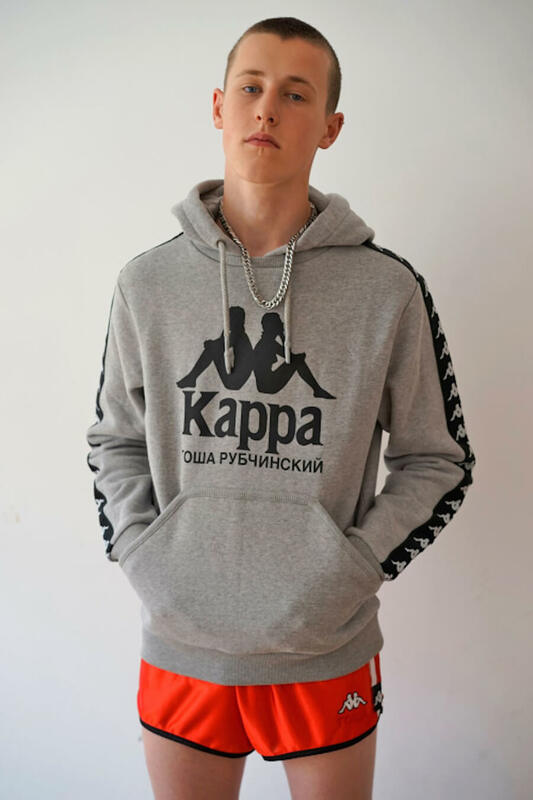 Yet, Rubchinskiy’s eponymous brand isn’t just a revival of his youth; rather, through his own clout, he’s brought a few of these older sportswear brands back into the spotlight, including European soccer brand Kappa, Fila, Reebok, and Adidas. 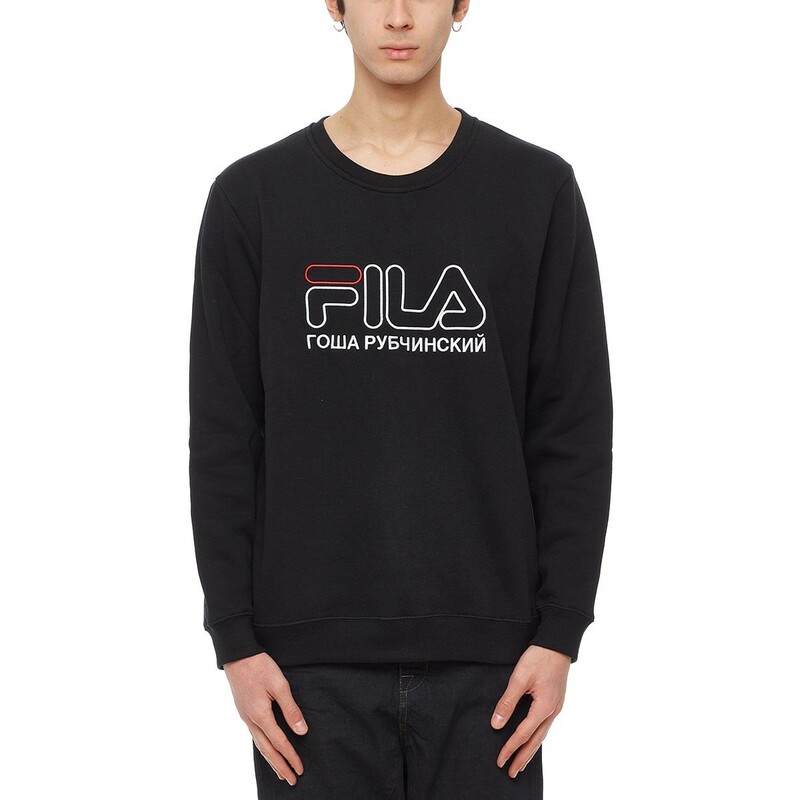 Rubchinskiy, of course, isn’t the only one. Kith drew attention to PONY – a brand you probably haven’t spotted stateside since the early ‘00s – with a shoe collaboration. 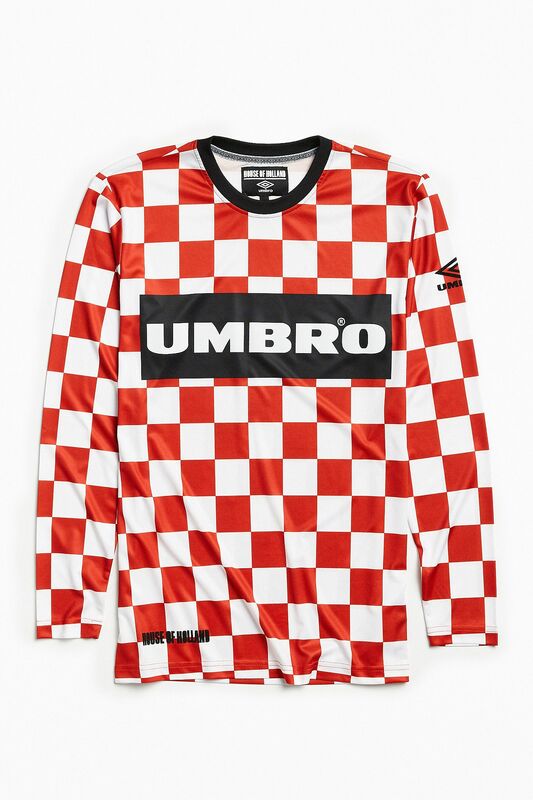 A few more-visible brands have dabbled with Umbro, including Palace, Off-White, Christopher Raeburn, and House of Holland. Champion, too, now seems to be everywhere: Collaborations with Supreme and Bape made the brand cool again, and as a nod to hip-hop’s early years, Travis Scott and Chance the Rapper have sported their classic sweatshirts. However, collaborations aren’t simply a “Look at what they used to wear 20 years ago!” scenario. 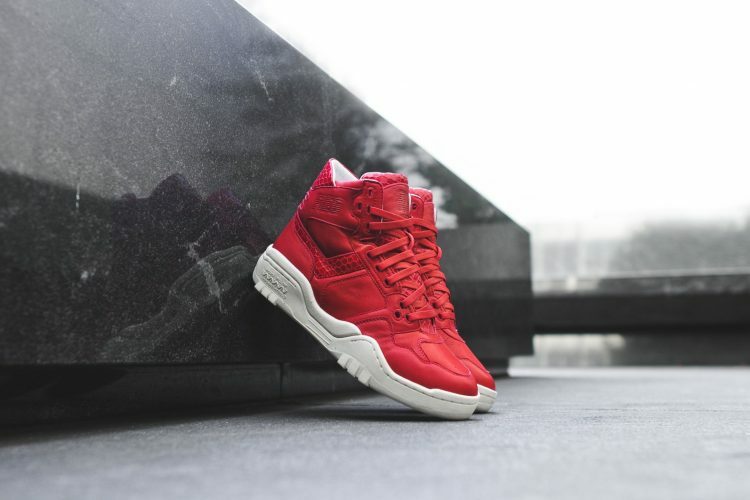 Instead, following Rubchinskiy’s example, the blending of two brands results in deconstructing a sort-of standard for high-fashion audiences: Chunky red kicks from Kith incorporate PONY’s logo, but feel like a far cry from their color-blocked tracksuits. 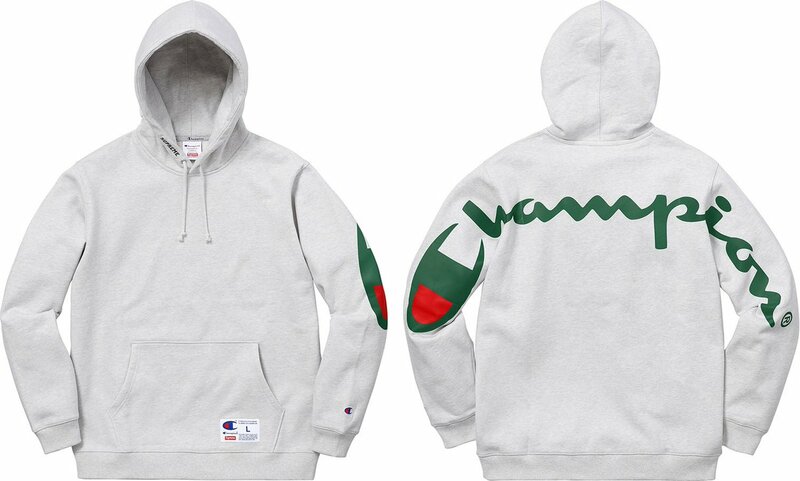 Supreme, meanwhile, opted to stretch out, duplicate, and overall magnify Champion’s ordinarily subtle logo over a series of hoodies. 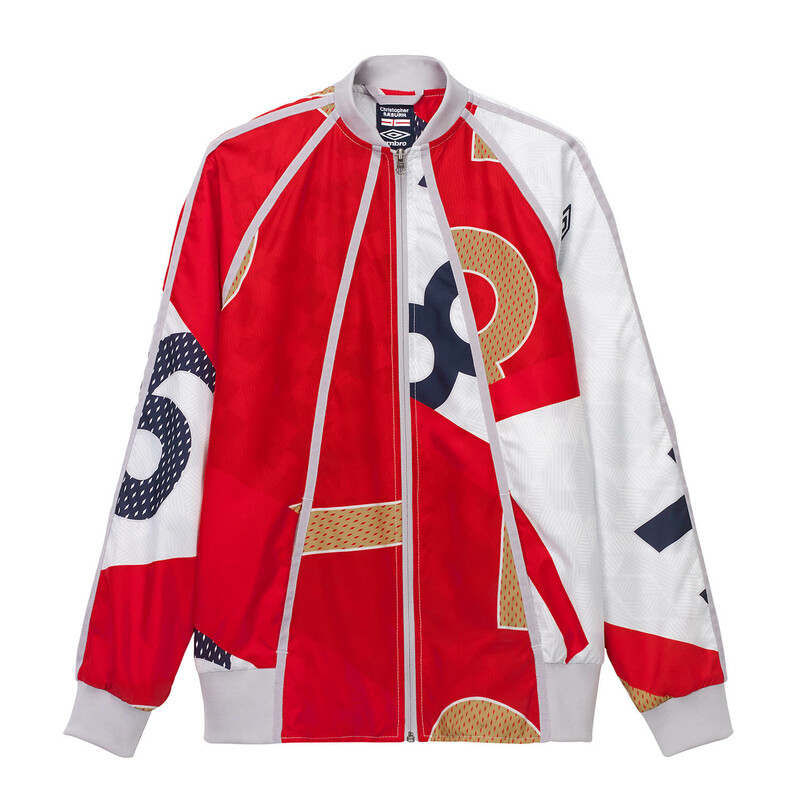 And, based on the number of Umbro collaborations out there, those thin soccer shorts of your youth have been replaced with more practical everyday garments: Button-downs sporting the large logo, windbreakers, and sharper, geometrically patterned soccer shirts. 2018 found the sweet spot between two ‘90s trends – parody fashion, a staple of ravewear, hip-hop culture, and the period’s streetwear brands like Freshjive, and wearing sportswear to make a “don’t care”-type anti-mainstream statement. Though, with Vetements setting the modern-day example, it’s more of a chicken-or-the-egg scenario: Did appropriating and re-working Champion’s familiar “C” logo, in the vein of ‘90s streetwear, revive parody fashion, or did high-fashion streetwear dig up what were essentially the ‘90s’ counterculture trends? There’s no definite answer – you’ll have to be the judge here – but Vetements’ interpretation brought back memories of the era’s tongue-in-cheek attitudes toward high-fashion – essentially what streetwear was, until Supreme gained some degree of legitimacy. 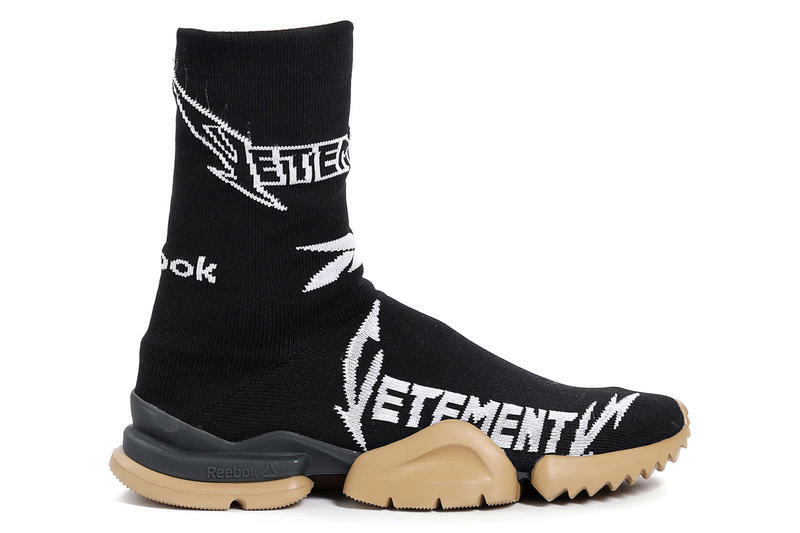 As well, amongst all of the highly stylized updates out there, the parody version goes back to basics – specifically, of sportswear’s lowly status on the fashion totem pole, complete with tacky, lazy-implied, working-class associations. Thus, a designer can dress it up, but some of its original crassness remains. Collaborations and reinvention, though, touch on the seeming accessible. For a contrast, these vintage silhouettes have crept into plenty of runway collections, with the results ranging from clearly overt to subtle. For the former, Lacoste’s SS18 presentation, which featured both men’s and women’s styles, hit the ‘90s right on the nose with anoraks, sharp color-blocking, and wider-cut silhouettes. Yet, for those who would’ve dismissed the presentation simply as a “best of”-type moment, the brand’s classic polo shirt returned in less-typical forms: For men, baggy and asymmetrical, and for women, in dress or off-the-shoulder silhouettes. 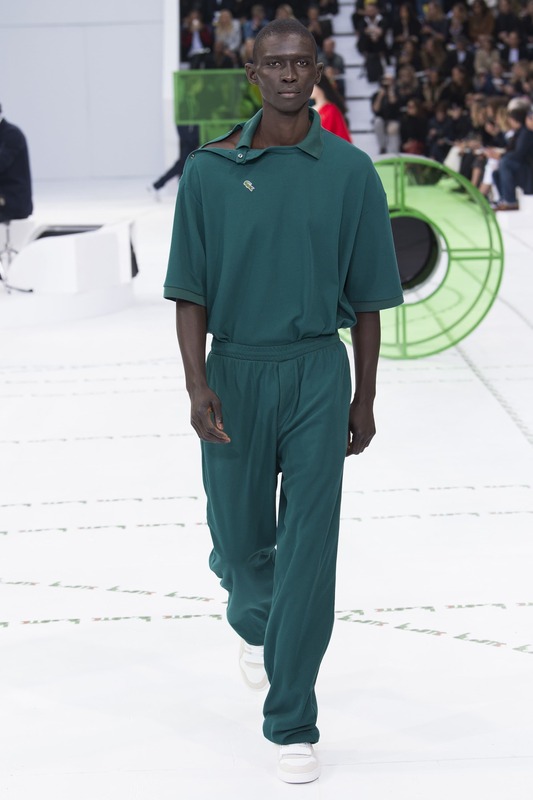 Whereas Lacoste took the easy route, Cottweiler put the tracksuit up on a pedestal: linens and shimmering satin-like fabrics, in muted blues and beige, added a dressier component. The result symbolizes where leisure and luxury collide, emerging as something both practical and decadent. Don’t get images of velour or knockoff Burberry patterns in your head. Today’s tracksuits take it to extremes. On one end, perhaps as a nod to both parody fashion and the oversized fits we’re seeing in lookbooks, the jacket and matching bottoms add extra space, seeming voluminous while simultaneously creeping into shell suit territory. On the other, more to the stylized version of sportswear detailed above, the soccer team fits you remember now sit closer to the skin for a more streamlined – and dare we say “tailored” – cut that sets the stage for color-blocking. Take your pick here. Although you’ll find plenty of techy choices, like that recent Kiko Kostadinov x ASICS shoe, seek out the classic silhouettes that borrow a few modern features and splice that with thicker, more substantial construction. Think of this as the Bomber 2.0 – this time with contrast sleeves and a more structured fit. 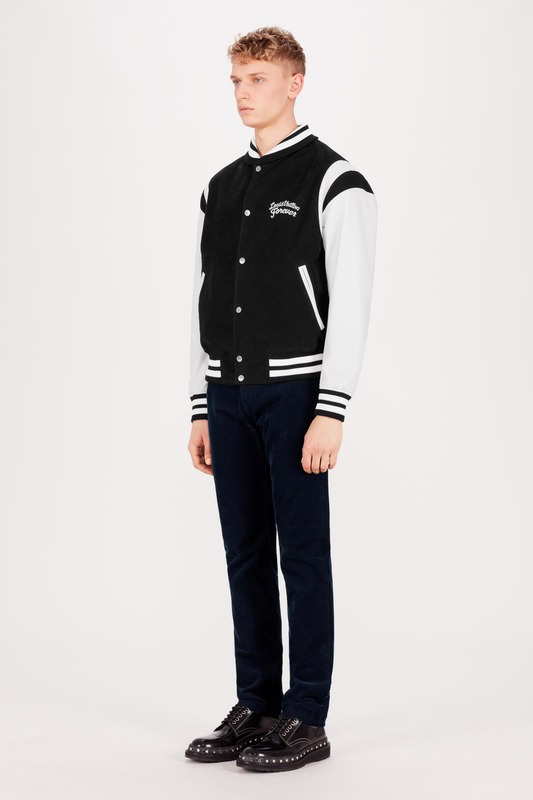 It’ll fit a bit better than any letterman jacket you earned in high school, and updated styles even go past the blockier versions, adding prints or digital graphics to the body. For a more luxurious perspective, let Gucci and Louis Vuitton be your guide: Silk, twill, and satin materials set the stage for logo accents, prints, and detailed embroidery.